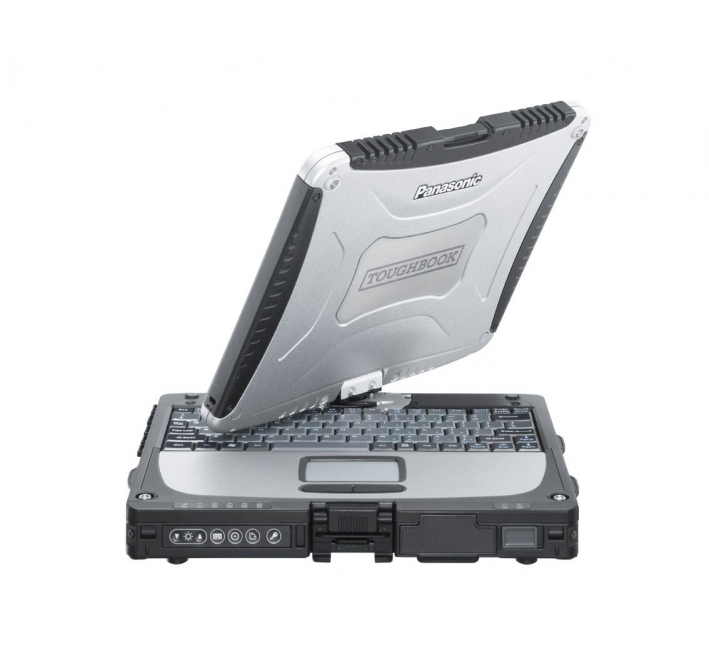 BURSAGAZ USES LOCATION-BASED ONLINE NOTIFICATION MANAGEMENT SYSTEM WITH PANASONIC TOUGHBOOK CF-19. TARGETING TIME AND COST SAVINGS WHILE PROVIDING ITS SUBSCRIBERS WITH MORE UP-TO-DATE AND EFFICIENT SERVICE. 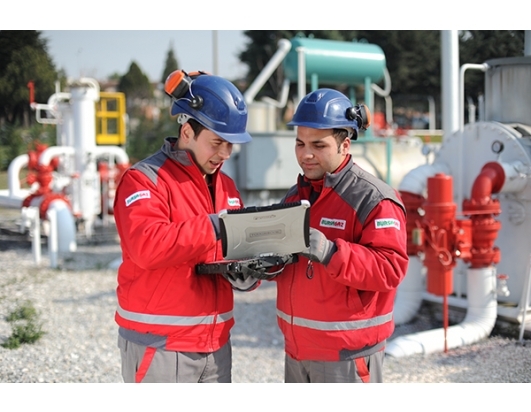 BURSAGAZ IS NOW ABLE TO CARRY OUT ITS NOTIFICATION MANAGEMENT OPERATIONS BOTH ON-SITE AND ONLINE, THANKS TO THE LOCATION-BASED NOTIFICATION MANAGEMENT SYSTEM PROJECT PERFORMED IN COOPERATION WITH PANASONIC. 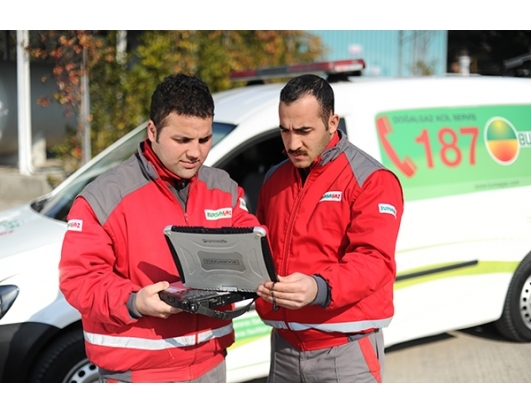 As one of the three largest natural gas distribution companies in Turkey, Bursagaz manages the 5000-km natural gas network and provides a natural gas distribution service for approximately 800,000 subscribers. Project Manager and Bursagaz Research and Materials Director Fatih ER states the reason they went ahead with this project: “Having maintained its natural gas distribution activities right across Bursa since 2004, Bursagaz needed to renew its notification evaluation processes.” Bursagaz employees used to carry out the process of collecting notifications through Alo 187 hotlines. Field teams were subsequently notified and they applied solutions manually. This process was not only time and labour intensive but also inefficient, particularly at a time when private and corporate life was speeding up as a result of mobile technologies. The system which will ensure the realisation of Bursagaz’s aims has been pinpointed as a GIS-based and location-based notification management system. The next stage of the project was to determine the business partner with whom to cooperate during the transformation project and to provide both the necessary products and expertise to manage the project. Bursagaz chose Panasonic as its business partner for the project. 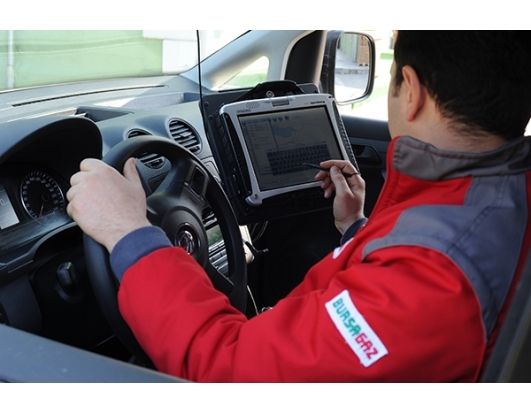 Within the scope of the project, field workers of Bursagaz now perform notification monitoring activities using the rugged mobile PC Panasonic Toughbook CF-19. In addition to this, notification reception and the delivery and evaluation system now run on an online platform. With the navigation application, a visual map of the notification address information (GIS) is delivered to the field team and notification management processes take less time than before. 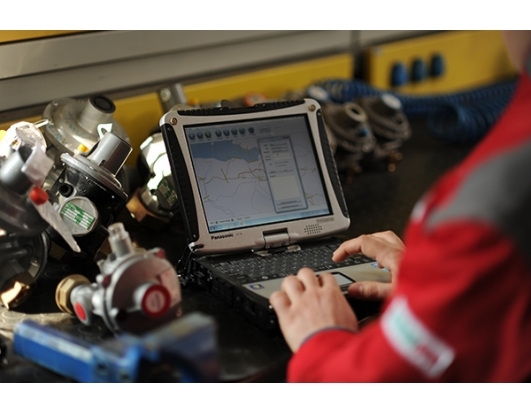 Thanks to SAP ERP integration of the project, all processes can be monitored on a single screen. Before the project the cost of fuel consumed by the seven field vehicles operating in three shifts was also reduced by 11% and 730 hours of labour time were saved. Among the benefits for Bursagaz deriving from this project is an official appreciation of its success. Bursagaz was granted the Piri Reis Award which is awarded within the scope of the International Smart Infrastructure, Geographical Information System Convention – SEGIS 2013 held in İstanbul in the category of Management using Infrastructure Information Systems in the Most Efficient Way.